The play is her thing: Linda Carnevale is a fine arts drama teacher at Baldwin High School and the coordinator and show director of the school’s Performing Arts Learning Center. If you ask Linda Carnevale to list every theatrical play or musical she’s directed or performed in — well, you better clear your schedule. “Yes, it’s a very long list,” she laughed. She’s landed a lot of roles over the years, but there are two she was born to play: Carnevale is a fine arts drama teacher and the Baldwin High School Performing Arts Learning Center (PALC) coordinator and show director. She’s also the adviser for the Baldwin Theatre Guild and International Thespian Society Troupe #3135. In junior high, Carnevale says acting took a back seat, but it would be a short-lived hiatus. When she was 15, her family moved from Kansas City, Mo., to Maui; she enrolled at Baldwin High School. That spring, Carnevale attended a production of “Oklahoma” directed by Loudon — and fell madly, deeply in love with theater. After that, she jumped at every opportunity to perform, and in the years that followed, absorbed the nuances of theater — everything from costuming to prop-making to set design. After high school, she headed to the Pacific Northwest to study theater and acting at Southern Oregon University in Ashland, Ore., home of the renowned Oregon Shakespeare Festival (fortuitously, Carnevale landed a part-time job as a festival box office clerk). 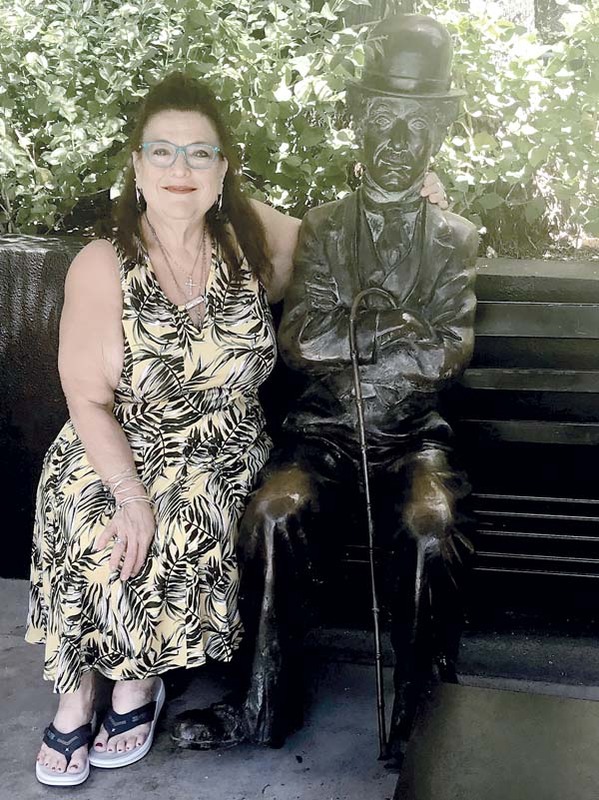 In 1986, with a Bachelor of Fine Arts degree in hand, she returned to Maui, where she began teaching creative drama in an after-school theater program. In 1991, Carnevale sat in the director’s chair for the first time; in a life-comes-full-circle moment, she made her directorial debut in a Maui Community Theater (now Maui OnStage) production of “Oklahoma” at the Historic Iao Theater. And Carnevale is quick to point out that theater is a team sport. Whether they are on the stage or backstage (students also learn technical skills like lighting, sound and set construction), each person plays a vital role. “It’s not a one-man show,” she said. From “Bye Bye Birdie” to “The Wizard of Oz,” Carnevale says nearly every production elicits nostalgia — and this year’s spring musical is no exception. Carnevale, who once played an Oompa-Loompa, will direct “Roald Dahl’s Willy Wonka,” which features songs from the 1971 film starring Gene Wilder and new songs written by British composers Leslie Bricusse and Anthony Newley. The show opens March 8 and runs for two weekends. Performances are at 7 p.m. Fridays and Saturdays, and 2 p.m. Sundays in the Baldwin Auditorium. Tickets are $12 for adults, $10 for seniors, $7 for youths ages 12 to 17, and $5 for children ages 11 and under. Presale tickets can be purchased through any cast member or by calling the box office at 727-3297. To learn more about the Baldwin High School Performing Arts Learning Center and Baldwin Theatre Guild, email baldwindramaclub@gmail.com or visit www.facebook.com/BHSDramaMaui.